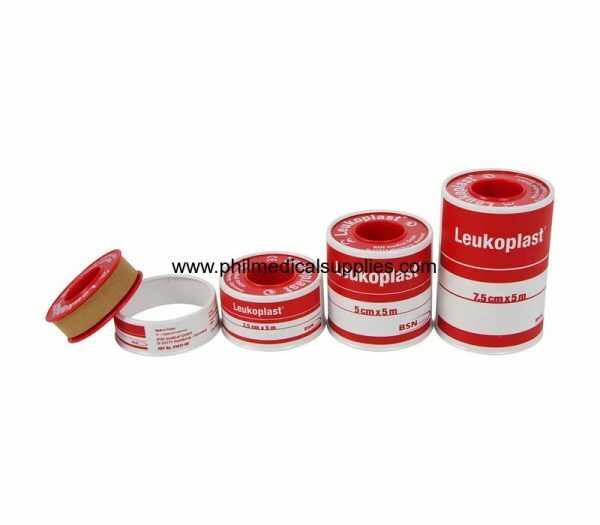 Leukoplast# is a tan-coloured zinc oxide tape for securing dressings, and is both waterproof and dirt repellent, which means it is extremely durable in wet and rough environments. The strong yet gentle adhesive means Leukoplast can be worn for extended periods without irritating normal skin. It adheres strongly and reliably even under heavy strain, and features high tensile strength. Leukoplast is easy to tear and is permeable to both air and water vapour to prevent maceration.